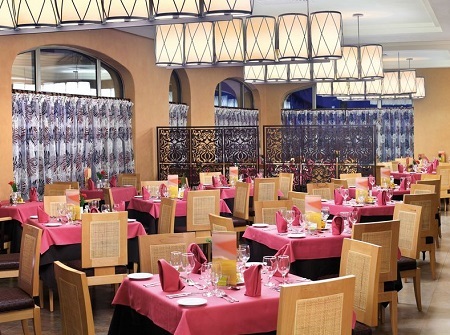 All Inclusive Barcelo Maya Palace Deluxe in Riviera Maya, Cancun, MEXICO! Bid Per Person Per Night & Choose Your Length of Stay! On the front of one of the most beautiful beaches in the world, with intense turquoise crystalline waters on the Mayan Riviera, we find the Barceló Maya Palace Deluxe***** Hotel. Focusing on quality, all its rooms are Junior Suite Deluxe or Suites offering every comfort to make your stay a unique experience. Enjoy the hotel's facilities: 3 spectacular swimming pools including the children's water park and exclusive adults swimming pool, gym, shopping center, U-Spa and the mini-club and U-Kids Spa for the littlest ones. During the day you can play sports: tennis, paddle tennis, basketball, and do snorkeling, kayaking and windsurfing. And at night come out to enjoy the hotel's vibrant night life: live shows at the Monte Albán Theater and Jaguar's Nightclub. 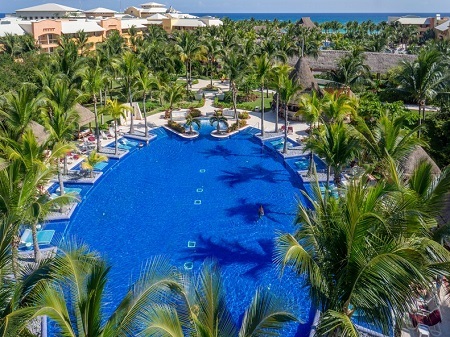 With the Barceló All Inclusive program you will be able to access the buffet restaurants, bars and swimming pool and beach facilities of the Barceló Maya Beach, Barceló Maya Caribe, Barceló Maya Colonial and Barceló Maya Tropical Hotels. Inviting turquoise water, ancient culture, lively nightlife and legendary natural beauty. 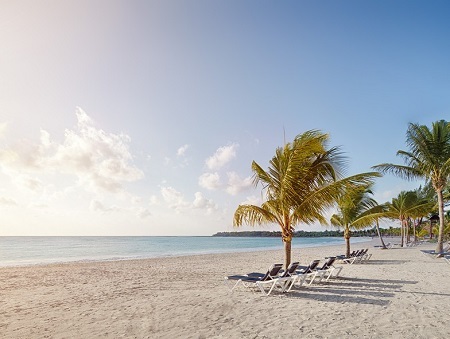 The Barceló Maya Palace Deluxe hotel is situated on the best beach of the Riviera Maya and offers large, beautifully designed suites that perfectly blend Caribbean elegance with contemporary convenience. 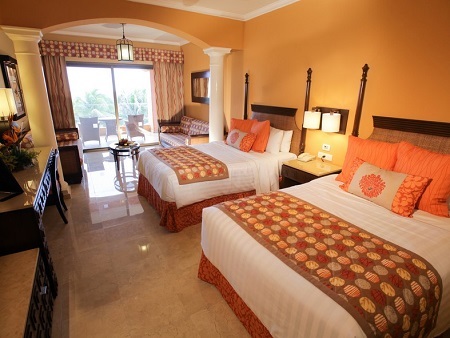 Offer is based on a Double Occupancy in a Junior Suite Deluxe. 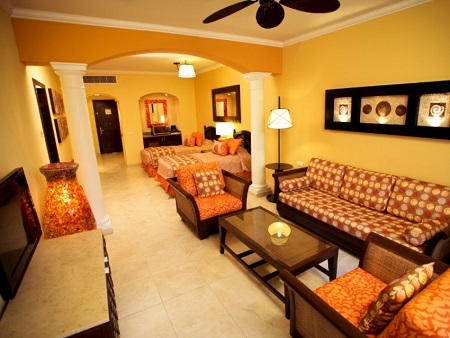 Upgrade to Family Junior Suite for an additional + $150 per person per night. Spacious junior suite of 1,012 ft²designed especially for families. There is a main living room and separate bedroom with 2 single beds, a sofa bed and half bathroom. The suite also has a terrace from which to enjoy the surrounding views. Maximum capacity: 5 people (possible combinations: 2 adults and 3 children, 3 adults and 2 children, 4 adults and one child). Up to Two (2) Children 12 years old or younger are HALF of an adult's bid, taxes and any surcharges when sharing a room with adults. Stay a minimum of 3* night or up to 14 nights as desired and based on availability. *5 Nights minimum Stay required December 23 - January 3 and January 22 - April 27. Single Supplement: Offer is based on double occupancy, single supplement of +$150 per night is available in a Junior Suite Deluxe for those traveling or rooming solo. All Reservations must be requested by noon est. on August 15th, 2018!